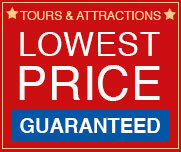 Custom House Museum, Lighthouse and Conch Train Tour Package gives you admission to these three popular attractions for one low price. Learn history the fun way. Great family adventure. 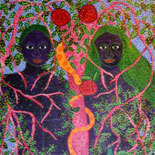 The mission of the Key West Art & Historical Society is to preserve the culture of the Florida Keys through exhibiting and displaying regional art, architecture and history for the purpose of educating the community and visiting public. They have done this in part with the Custom House Museum, Lighthouse and Conch Train Tour Package Three great historical attraction venues. 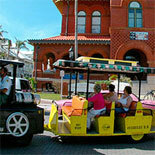 Learn about Key West's History the fun way!! Step back in time and experience the life of the Lighthouse Keeper through the families who kept the light burning from 1826-1969. See personal affects, diaries, and artifacts. View a 12 foot, first-order Fresnel lens circa 1858. Climb 88 steps to the top for a panoramic view of the island and surrounding waters. 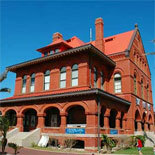 The historic Custom House Museum towers over Mallory Square in Key West. A former 1891 Federal Building, it remains one of the finest examples of Richardsonian Romanesque architecture in the country. Originally home to the island's customs office, post office, and district courts, the spacious galleries now contain ever-changing exhibits of Key West history using objects, art and artifacts contained in the museum's extensive collection. Join in on a 'train ride' through history!. The Conch Train takes you back to the days when fierce Indians left their enemy's bones to bleach in a tropical wilderness naming the island Bone Key. Explore a lush, tropical island, and discover the charm and grace of one of America's most unique architectural pleasures. 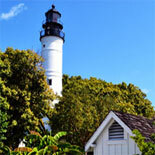 Get to know characters like John James Audubon, Ernest Hemingway, and Harry S Truman and, like them, become captivated by the magic that is Key West.This tour now makes a stop at Truval Village, close to Southernmost Point, Hemingway Museum, The Butterfly Conservatory, The Lighthouse, and the Star of the Sea Grotto. You can get off and board a different train to return. Explore this opportunity to soak in the history, architecture and culture of Key West. Get your eTickets now for the Custom House Museum, Lighthouse and Conch Train Tour Attractions Package: There is so much to see and learn...you will be glad you did! 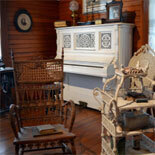 Museums: Doors open at 9:30 am with last admission at 4:30. Open daily, closed Christmas. 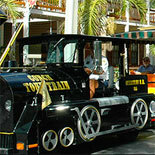 Conch Train: Daily from 9:00 am to 4:30 pm 363 days a year. Closes at 1pm on the last Friday and Saturday in October for Fantasy Fest. Tours depart approx. every 30 minutes. Parking available at both museums. 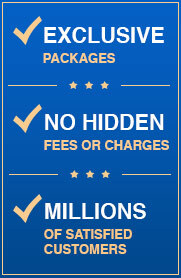 Children: 4-12 years old Children under 4 years of age are free.